It’s time to jam out to the music you love. 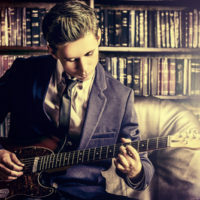 As an advanced blues guitarist in London, you can learn to improvise over any groove, pick up on the secrets to scale changes, and play lead guitar in a band. It’s time to become a master blues guitarist; it’s time to work with a proven master guitarist, Stefan Joubert. Stefan is the founder and lead teacher at the London Guitar Institute where he works with advanced blues guitarists like you to learn the tips and techniques used by the Pros in bands and concerts around the world. Stefan has worked under master guitarists himself. He knows all the variations of blues and the rich history and cultural heritage that inspired it. Let Stefan guide you to that next level at his Guitar Institute of London, a place where you get personal attention, training, counselling and advice on all things blues. As an advanced blues guitarist in London, it’s time to shoot for the moon! It’s time to break through musical barriers, time to emulate your favourite blues guitarist. Take your cue from some of the greats in the business and emulate their styles – or create your own. There is a style for all blues players – whatever style of blues you fancy and love! The question here is what’s your blues style? Play the Joe Bonamassa electric blues licks, or try the Robert Clay style of blues lead guitar. Play slow blues like Clapton or jazz blues like Charlie Christian, Johnny Guitar Watson, or T-Bone Walker. Play old school 12-bar blues or blues rhythm guitar – Chicago style. As an advanced blues guitarist, you are ready to make your mark in your own style. Stefan Joubert will help you master it. Stefan starts with where you are today and discusses your goals. What types of blues do you like and what do you hope to accomplish? Stefan will teach you the soloing secrets of the masters. He will show you how to get that “bluesy” sound. He will show you how to create your own licks, pick and dampen notes, and use movable chord shapes. Learn how to master the pentatonic box. 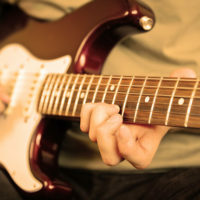 Play a riff out of the pentatonic minor scale, but add a chromatic passing note, too, for an unexpected bit of improv. 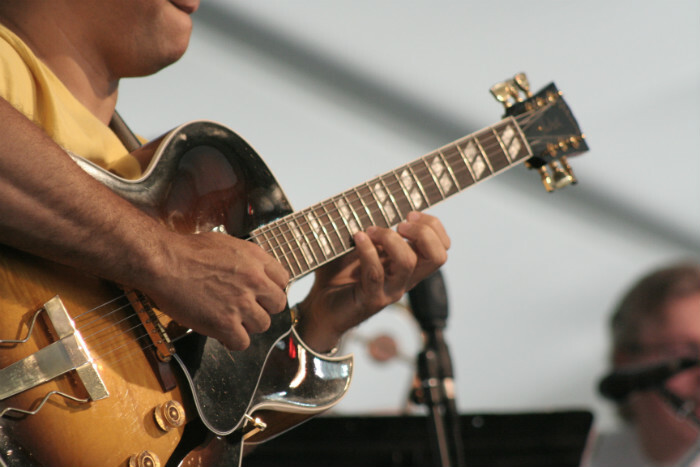 Learn how the Pros use a combination of many different scales to improve their blues soloing. Some alternate between the minor pentatonic scale and the relative major pentatonic scale. Some don’t use pentatonics at all. Some use it but change some of the notes. Learn to find your own groove. 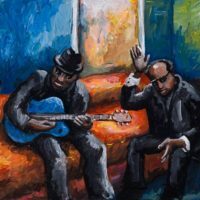 As an advanced blues guitarist, you will get a chance to improve your knowledge and skills of blues guitar and learn some of the tricks and techniques that made blues guitarists legends. You will enjoy a deeper understanding of blues music and its history and have a better appreciation of overall musicality. And after developing a professional level of skill and performance, you will get a chance to jam in concert with peers, without being judged. It’s your concert and your chance to be a headliner. 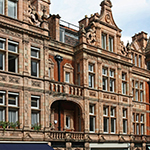 There are two locations for advanced blues guitarists in London to work on their craft. As an advanced blues guitarist, you are eligible for professional-level training at the London Guitar Institute. Lessons take place weekly at set times and days. As an advanced blues guitarist in London, you have already shown a high level of skill. If you want to push yourself to the professional level, you should have the best training available. We look forward to working with you to begin the journey. Become a proud member of the London Guitar Institute, and we will help you become the professional blues guitarist you want to be. Contact us for more info about our advanced blues guitar lessons. We promise a prompt and personal reply within 1-2 working days. 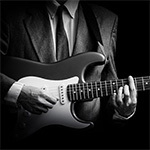 Learn and master blues guitar with the London Guitar Institute. Learn your favourite licks and how to play over a standard 12 bar blues. Are you an intermediate blues player who is looking to move unto the next level? Learn the tricks of the trade of blues now with the London Guitar Institute! Join a blues guitar course in London with the London Guitar Institute and make amazing progress with an outstanding blues guitar instructor! Become the blues guitarist you have always wanted to be! 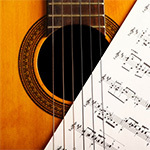 Improve your sound, technique, and blues knowledge now with the London Guitar Institute.